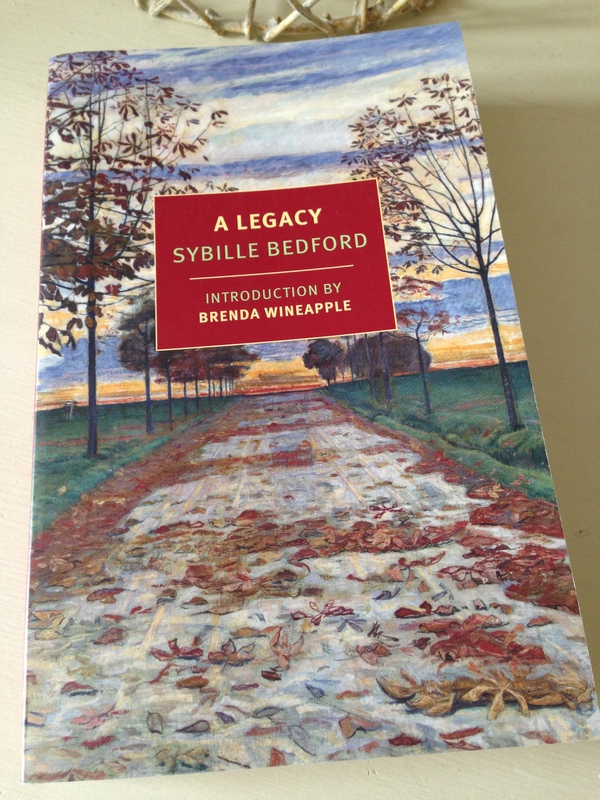 First published in 1956, Sybille Bedford’s semi-autobiographical novel, A Legacy, tells the story of two very different families connected by marriage. As long-standing members of Berlin’s haute bourgeoisie, the Jewish Merzes are very wealthy and very traditional. By contrast, the aristocratic von Feldens hail from Baden, part of Germany’s Catholic south; they are comfortably off but not rich. Set against a backdrop of a newly-unified Germany, the book moves backwards and forward in time alighting on various points in the late 19th century and the years leading up to the First World War. Our narrator is Francesca, the daughter of Julius von Felden from his second wife, Caroline, although much of the story she relates has been pieced together based on her conversations with various relatives, coming to her ‘at second and at third hand, in chunks and flashes, by hearsay and tale-bearing and being told.’ Plus there is a touch of ‘putting two and two together’ to complete the picture. As the novel opens, the narrator recalls the early years of her life, a time she spent shuttling between two houses in Germany: an ‘outrageously large and ugly’ town house in the West of Berlin (home to the Merzes) and a small château in the South (bought for her father by her mother, Caroline). We are then introduced to the Merz household as Francesca spirals back into the history of this branch of her family. By contrast to the Merzes, the members of Julius von Felden’s family are much more engaged with their surroundings; they are country gentleman, landowners with interests in the countryside, the arts and various natural sciences. Julius has three brothers, two of whom, Gustavus and Johannes, also feature prominently in the story. The two families come together when Melanie Merz meets Julius von Felden during a trip to the South of France. Melanie has been staying with her brother, Edu (a man with a terrible weakness for gambling) and his wife, Sarah, a highly capable woman who is independently wealthy in her own right. There are some wonderful scenes where Sarah and Edu discuss Julius’ intentions towards Melanie. If they are to marry, there is the question of the difference in religions to be settled despite the fact that neither of the two families appears to be practising. In time, Melanie slips away from her family to get baptized, an action which leads to no end of confusion as the first ritual is carried out by a Protestant minister (not a Catholic one), and so a second ceremony has to be conducted in its place. Even though Julius ends up marrying Melanie (a young woman several years his junior), I couldn’t help but wonder if his heart was really in it, especially when I read the following passage. In this scene, which takes places in the Merzes’ house in Berlin, Melanie is expecting Julius to propose. The couple marry and move to Spain, but their marriage is a brief one. Shortly after the birth of her only child, a baby girl named Henrietta, Melanie falls ill with a succession of bronchial conditions which ultimately lead to her death from consumption. This is just one of a number of tragedies that touch the members of these two families during the course of the novel. As a young man, Julius’ brother Johannes was packed off to Benzheim, a brutal Prussian cadet school, a place where boys were left to spend their formative years in ‘an atmosphere of organized hunger, brutality and spiritual deprivation.’ As someone used to the wide open spaces of the countryside and the gentle company of his family, Johannes could not have been less prepared for the experience; it leaves him a broken man. The fallout from Johannes’ time at the cadet school continues to reverberate for several years affecting both the von Feldens and the Merzes in the process. One of the most impressive things about A Legacy is the insight it offers into this vanished world, the glimpses into the rather insular lives of the highly privileged Merzes in Berlin coupled with the eccentricities of the von Felden family in the South. Before his marriage to Melanie, Julius’ closest companions were his three chimpanzees, Robert, Léon and Tzara. There are some very amusing scenes when Julius travels to Berlin with his chimps in tow, especially given the mischief the animals get up to during the train journey. While there is much to enjoy in this novel, I couldn’t quite bring myself to love it. Bedford’s prose takes a bit of getting used to with its highly allusive conversations and indirect references to various events. The cast of characters is large, and their lives are complicated. In fact I haven’t even mentioned the third family to feature in the novel, the Bernins, who are linked to the von Feldens by way of another marriage. (A family tree would have been very helpful indeed.) As a consequence of all this, I found myself drifting in and out of this novel as I made my way through it. That said, I’m very glad I read it – as a portrait of a certain milieu, I suspect it’s pretty hard to beat. For other thoughts on this novel, here are links to reviews by Ali and Guy. A Legacy is published by NYRB Classics. Source: personal copy. This entry was posted in Bedford Sybille, Book Reviews and tagged #ReadWomen, Book Review, Classics Club, Fiction, NYRB Classics, Sybille Bedford, UK on May 3, 2016 by JacquiWine.